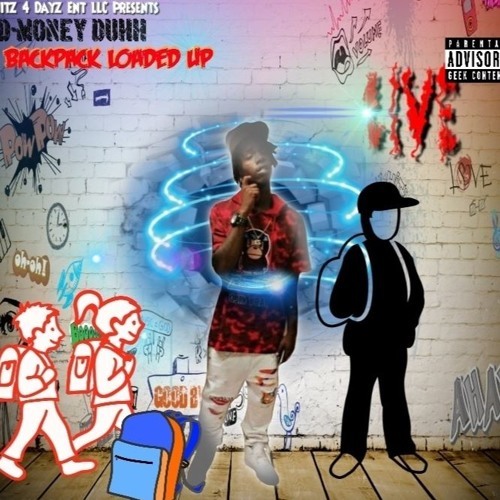 With over 1.5 Million Sound Cloud plays in his opening week, Shreveport, Louisiana rapper D-Money Duhh has suddenly taken the internet by storm with his latest single “Backpack Loaded Up”. His single has been featured multiple times in several indie to major blogs over the past 6 months and has finally risen to the top of the charts. The Shreveport rapper has seemingly accumulated over 300,000 plays in a 48 hour span in the Chicago area which soon lead to miraculously accumulating over 250,000 plays shortly afterwards hours later in the Southern California area sparking a huge Sound Cloud trend. The Louisiana artist can be followed on all social sites @DmoneyDuhh. This talented artist is definitely on the radar. With labels such as Atlantic , Def Jam, Sony and Universal Music Group keeping up with the young artist current emerging brand and image , we wouldn’t be surprised to see this young man rocking crowds and arenas soon! “Backpack Loaded Up” is now live on Spotifyand available for .99cents in all online retail stores , such as iTunes, CD Baby, Amazon, Tidal and even your google play store! This single can only be streamed unless purchased!